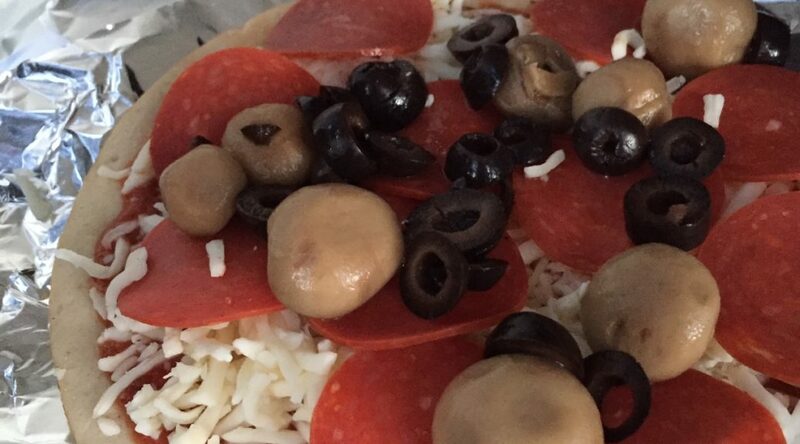 The pizza looks great. That is wonderful that you and Rob got to go on a date. Hope Lovana has a wonderful birthday. I can’t remember the last time we went somewhere for 2 night alone! It was awesome, just because it’s so rare, and so welcome! I know it’s because we have so many children, and they are so spaced out, but we chose this life and that’s how it is, but we grab chances when we can get them to keep building our marriage. Sounds like you had a nice week! I love the quilt on the bed next to Rob. 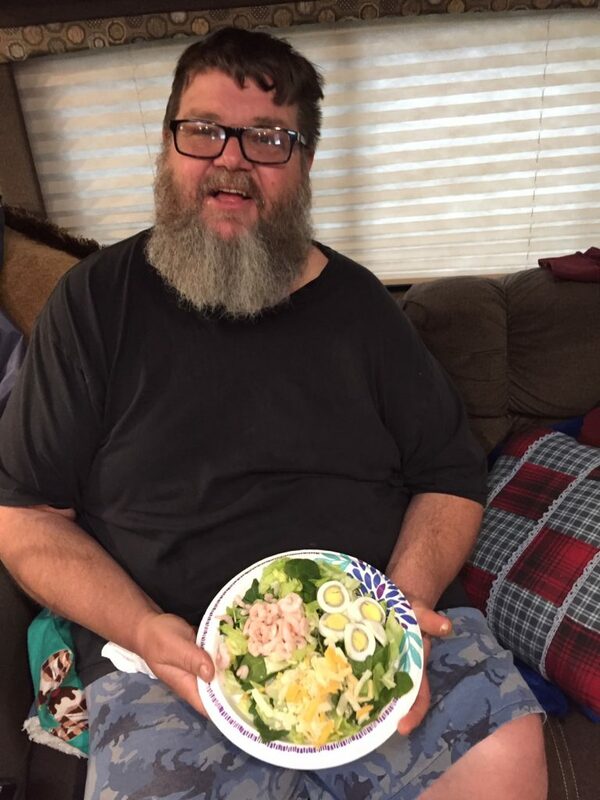 I love reading your blog and look forward to “Rob’s Weight Loss Journey, Part 2.” My husband needs a hip replacement also. He’s not looking forward to it, but I think he’ll feel so much better afterwards. I’m sorry your husband is in pain. It’s hard to watch them suffer, isn’t it? Hopefully, he will get the hip replacement soon, and it will help him so much! Happy Birthday to Lovana! Glad you were able to celebrate together. how did she end up in Hawaii? I’m sure she is enjoying living there. Sounds like a wonderful camping trip. 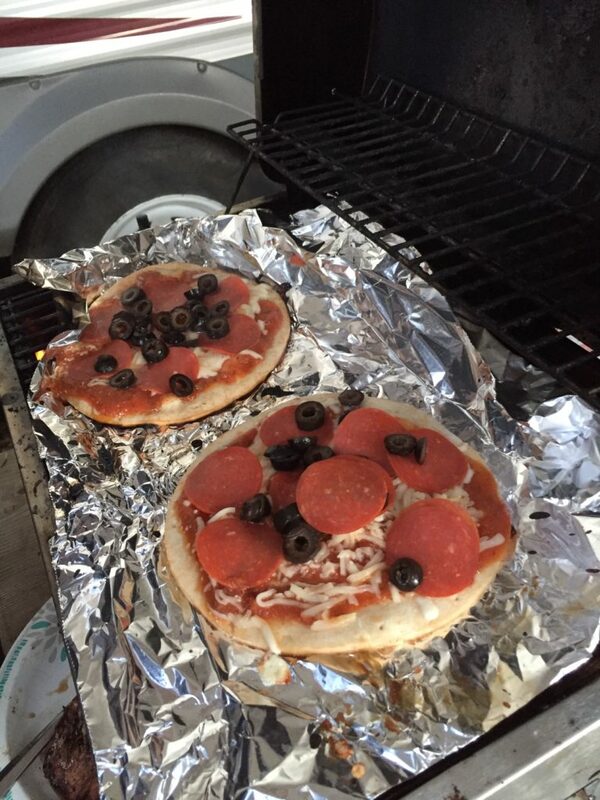 I have never tried grilling pizza, but yours looks delicious. 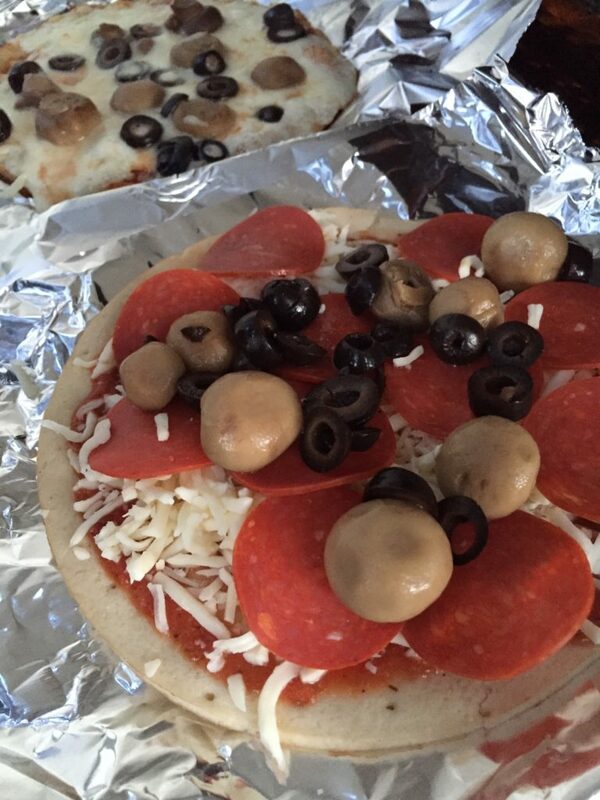 Glad you were able to go on a date night. That’s great. Lovana was given an opportunity to go work at a coffee shop that was opening. The girl who was going to manage the opening chose 2 girls and asked them if they wanted to go help get this shop open. This is the 3rd coffee job Lovana has held, and she is good at making coffee:). The 3 of them are rooming together. So, she had room mates, a job lined up, and an opportunity for her “big adventure” as we are calling it. She made a 1-year commitmen, and was brave enough to go. After she arrived, it became apparent that the new shop wasn’t going to open as soon as planned, so she went and got another job at a huge hotel, in their coffee shop. Now, she works at both places. The new shop is starting to really take off, so there are more hours, larger tips, etc. She has insurance from both places:). (The Mama in me loves that part!). It is super expensive to live there, so she doesn’t want to give up the hotel job, even though the other shop is getting much busier. It’s a lot of work, sometimes working both places in a single day, but she is not sorry she went. It’s been really good for her, and I’m proud of her for taking this brave step. Thanks for sharing about Louvana. I have been wondering how it was going for her in Hawaii. It is thrilling to hear it is a success. Whenever one of your little ones flies the coop, it is hard on a mama’s heart. I’m glad you enjoyed the update! Oh how exciting! Definitely a big adventure. She must be an awesome barrista, and I’m glad she is doing so well. I’m glad she was able to come home for her birthday, and I know it was good to spend time together.